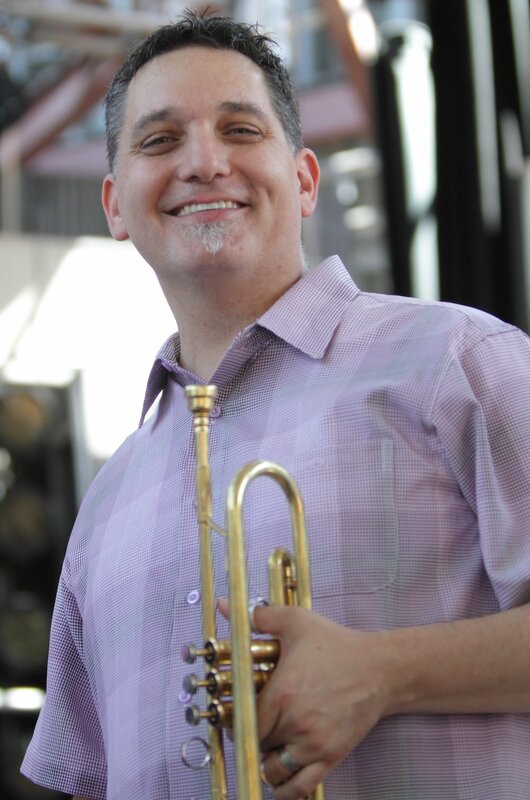 Current Musical Involvement: I tour internationally throughout the year (about 140-160 days) as a classical/jazz soloist and clinician; I teach trumpet, jazz and chamber music at Virginia Commonwealth University and was International Tutor in Trumpet at the Royal Northern College of Music in Manchester, England. Favorite Piece to Perform: This is a good question, but very tough! Don't we all most love the piece we're about to play? Well, I have many traditional favorites and I've been fortunate to collaborate with numerous composers on new works for trumpet, but I'd have to say that my overall favorite is the Concerto no. 2 for Trumpet and Orchestra, "Rextreme" by my close friend James Stephenson. It's very challenging and quite fun, and clearly Jim likes "punny" titles! Is there a specific memory or experience that impacted your decision to pursue a music career? I think it was watching the Boston Pops on television as a child...I was probably about thirteen years old when I decided I wanted to become a professional musician. Although it would be several more years before I had any idea what that meant! Any advice for young musicians interested in pursuing a music career? Be both bold and smart. Don't worry about a "fallback" – if you want to do this, do it without fear. There's always time to change your career if you eventually learn it's not for you after all. Master your instrument/craft deeply, but make sure you take care of everything else too: be healthy, do great in school, and try to be the kind of person that everyone wants to spend time with. These days, you need a wide range of skills: learn how to perform in different genres, learn composition, marketing, and production. The thing that's gotten more difficult: the "Jack-of-all-trades" needs to become a master of many of them too! But it can be done. Finally, don't forget what music is all about: if you don't love doing it and love bringing joy to people's lives, you're missing the point!